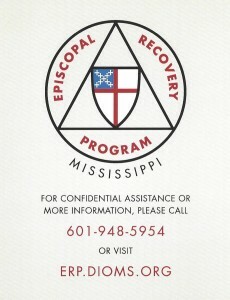 The goal of the Episcopal Recovery Program of Mississippi is to educate and provide resources for The Episcopal Diocese of Mississippi in dealing with addiction by providing direction and resources that will allow clergy and communicants alike to have accessible avenues to recovery for those within the diocese. Addiction. It’s a word with shadowy connotations. 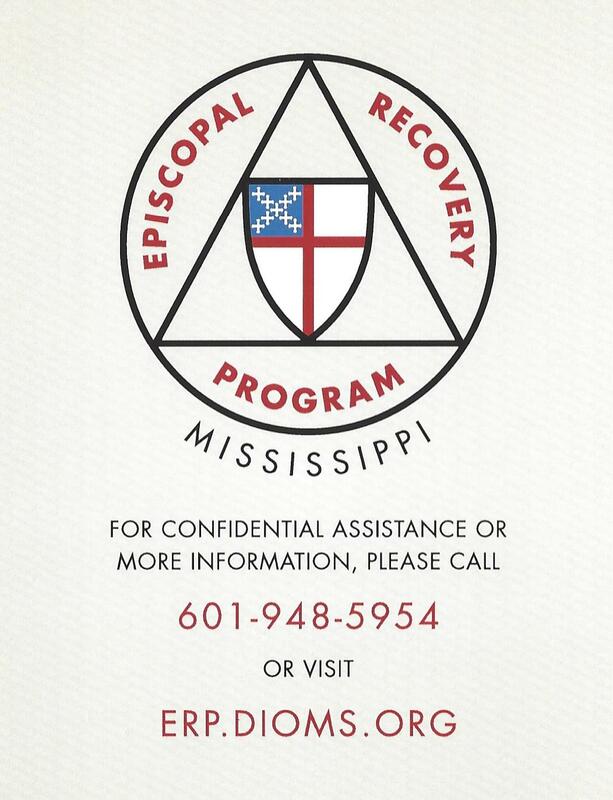 A problem of “other” people – not nice Episcopalians. Yet the common dependencies mentioned above ore addictions. These ore serious problems that affect many people in all walks of life. Addiction causes great suffering, but its causes and solutions are often misunderstood. Even today, many believe that unhealthy behaviors can and should be controlled and changed by individual will and courage – bolstered perhaps by prayer – but ultimately dependent on self-reliance. That has not been our experience. As people who are successfully recovering from alcoholism and other addictions, we have found that our new health comes directly from our surrender to God’s love and core – and that our repeated efforts to “control” our compilations were nothing more than misguided attempts to play God ourselves. The experience of many professions – both medical and clerical- confirms the effectiveness of this approach.